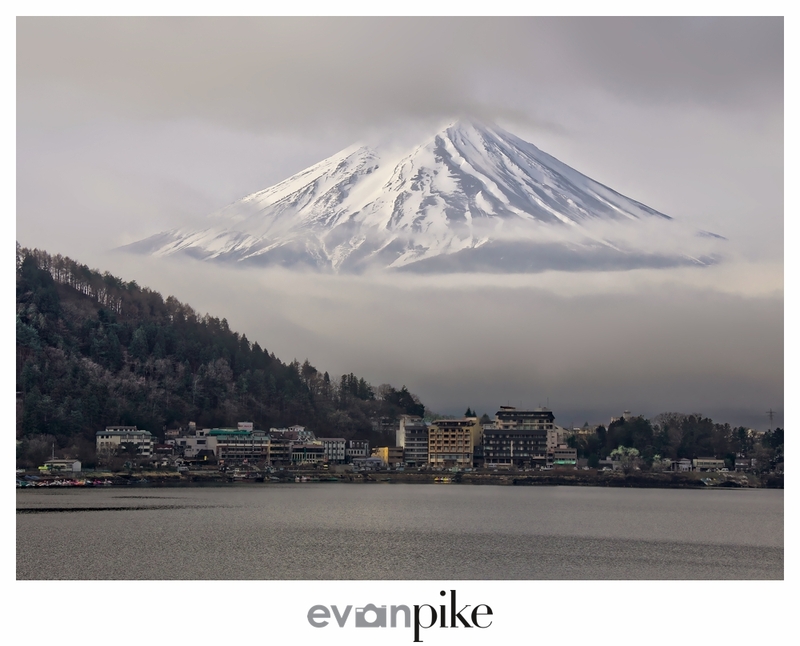 The last stop for our group of photographers visiting Japan before returning to Tokyo was Fuji Kawaguchiko. 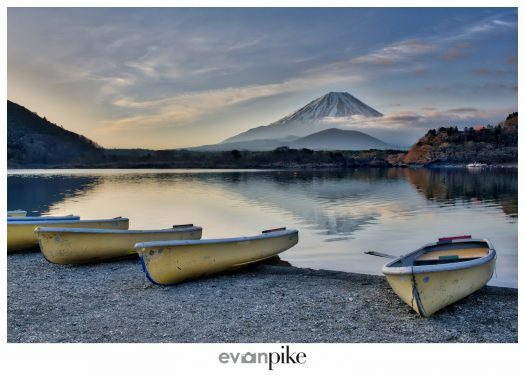 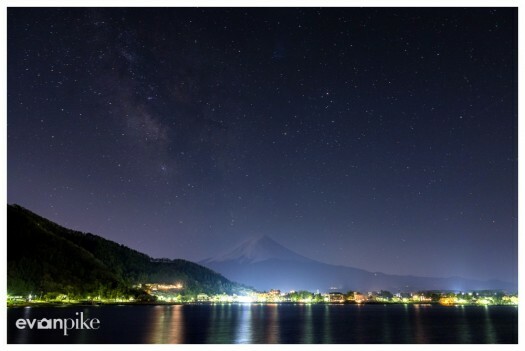 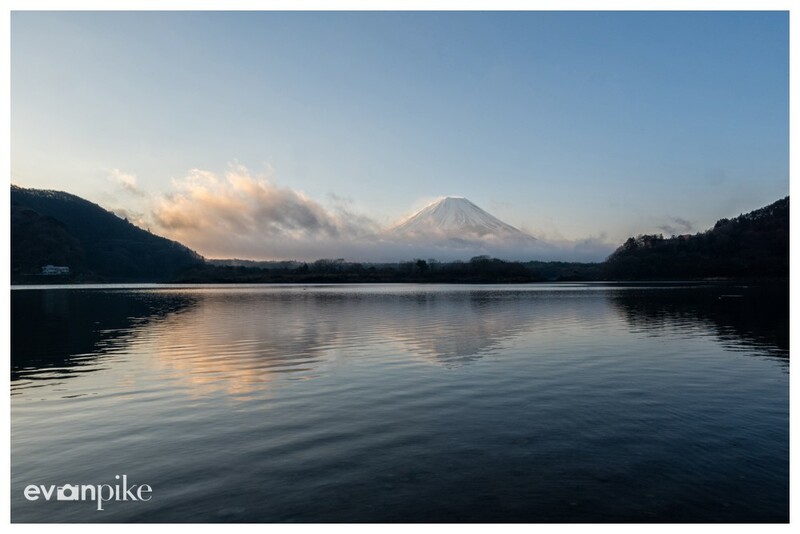 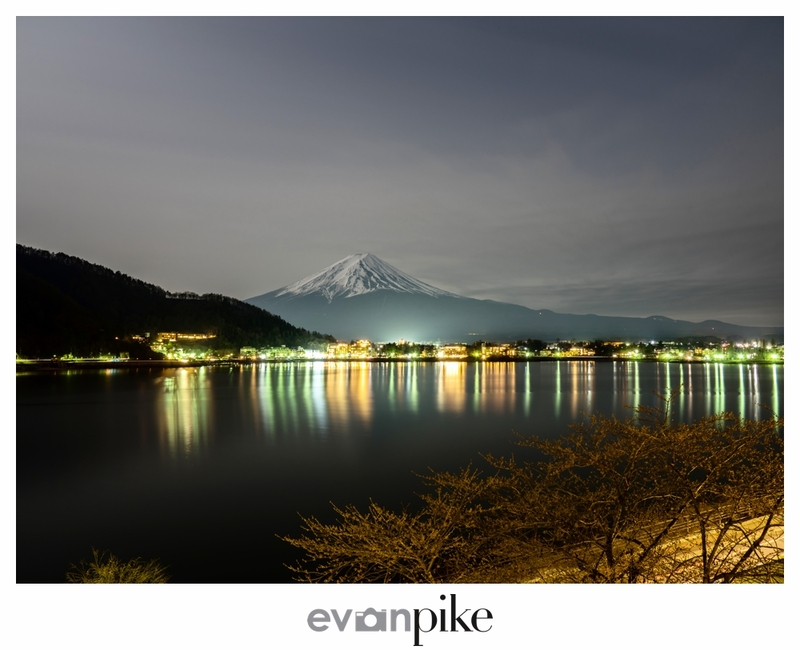 Lake Kawaguchiko is one of the Fuji Five Lakes and offers stunning views of Mt. 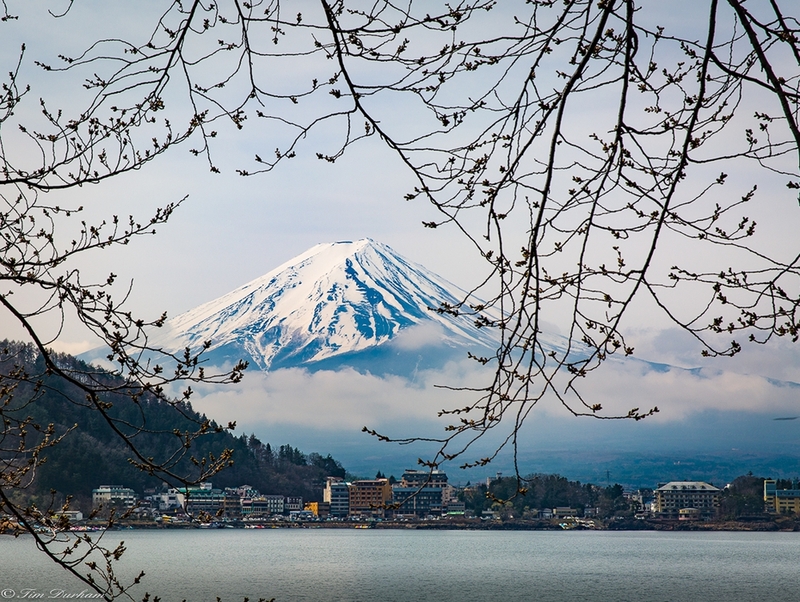 Fuji no matter what time of year. Thankfully this is the case as we were early for cherry blossoms this year. Though we did manage to find perhaps the one single cherry blossom “tree” in full bloom at the time. 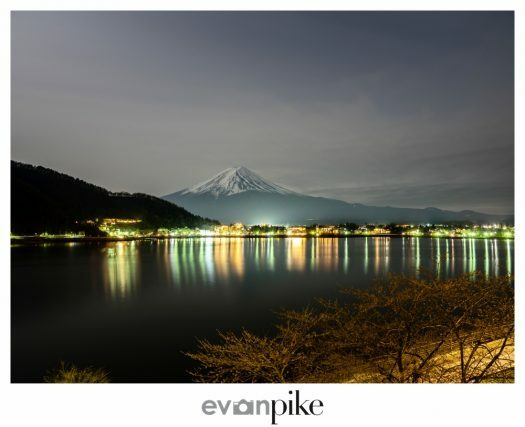 Besides Lake Kawaguchi, we also visited neighboring Lake Shoji and also Lake Yamanaka. Throughout most of our stay in the Fuji Five Lakes we could see Japan’s famously shy mountain, though often with cloudy skies behind and above Mt. 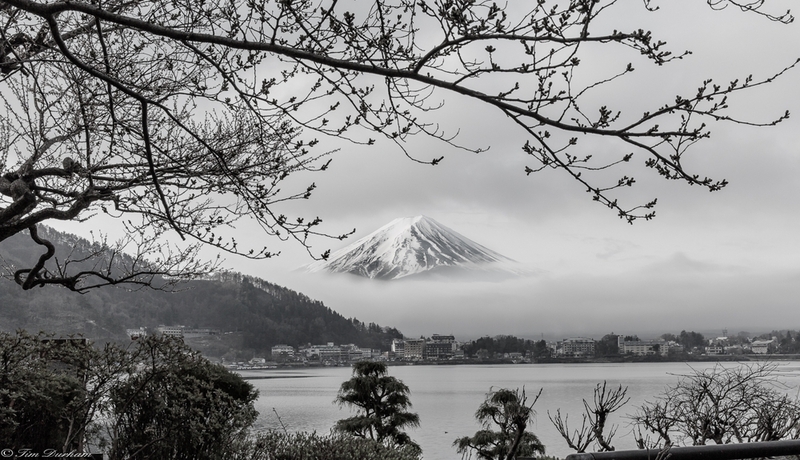 Fuji. 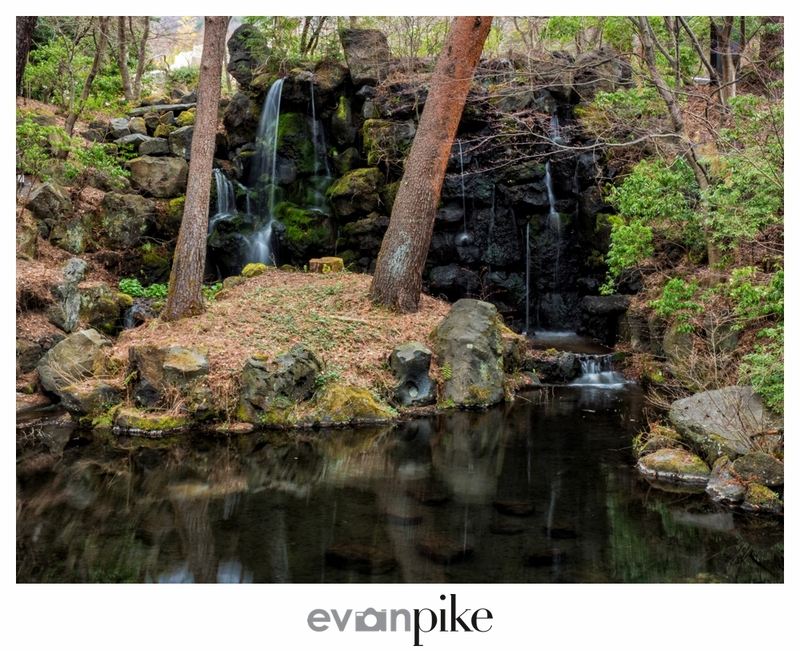 Also, the Kubota Itchiku Art Museum gave me another chance to test out my Olympus OM-D E-M1 Mark II’s in body image stabilization. 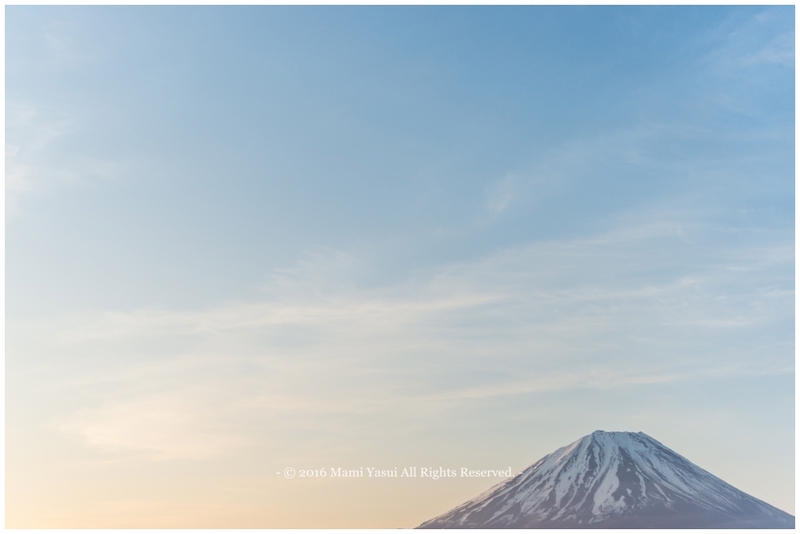 The in body image stabilization (IBIS) combined with the the M.Zuiko ED 12-100mm f4.0 IS PRO is suppose to give me 6.5 stops of image stabilization. Once again, I was quite impressed with the results as the photos below are 1 second handheld and 8/10 of a second handheld. 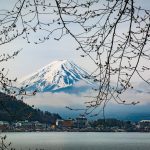 The 2017 Cherry Blossom Photography Tour of Japan took our small group of photographers to Tokyo, Hiroshima, Miyajima, Kyoto, Wazuka and Fuji Five Lakes. 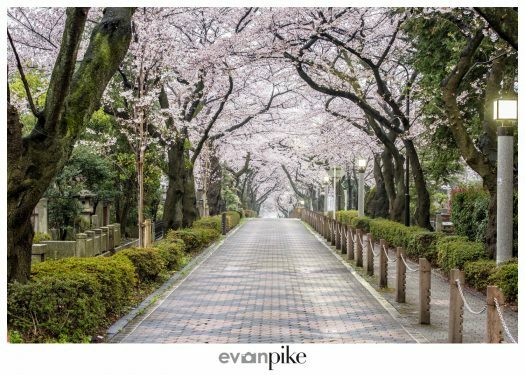 Take a look at the 2017 Cherry Blossom Tour Trip report to see more from our tour of Japan during cherry blossom season. Want to visit Japan during cherry blossom season with Japan Photo Guide? 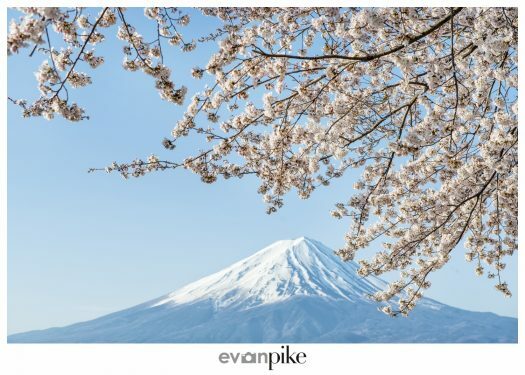 The 2018 Cherry Blossom Tour of Japan for photographers has limited spaces available, book now! Mt. 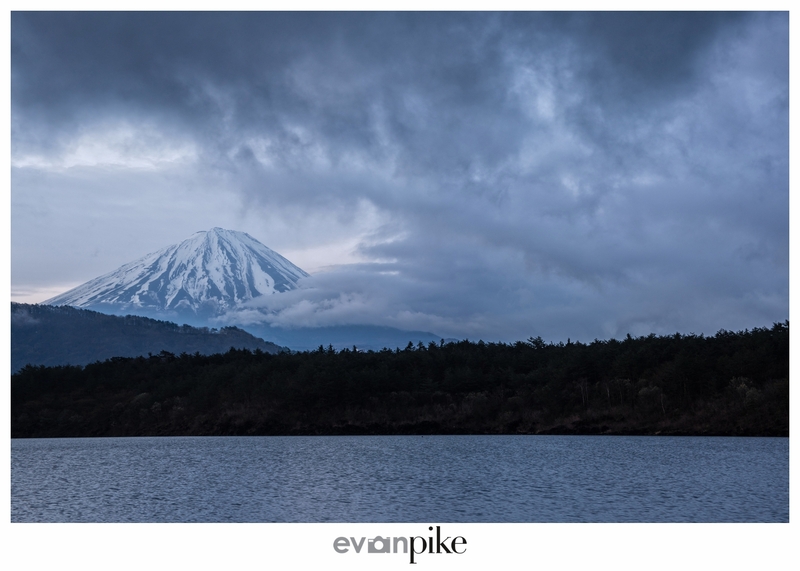 Fuji as a reputation for being really shy, especially while visiting the Fuji Five Lakes outside of Winter. For the 2016 Cherry Blossom Photo Tour of Japan, Mt. 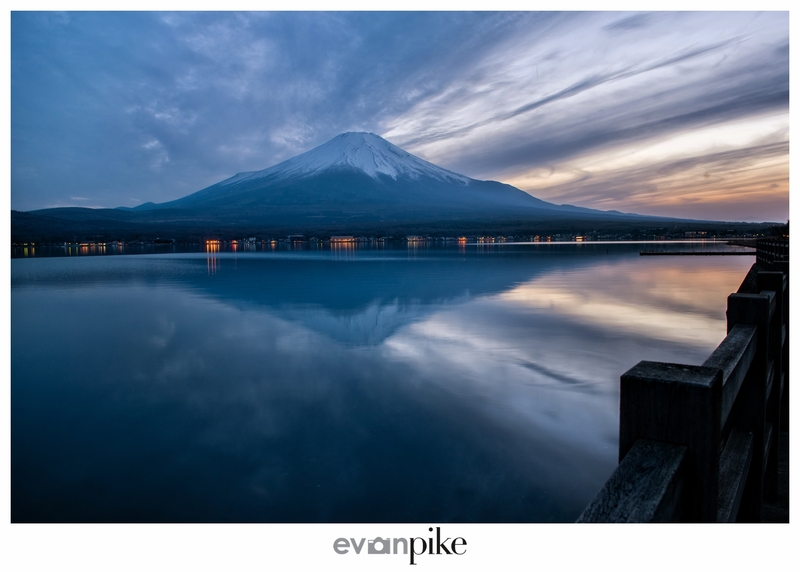 Fuji was operating about half of our photographer sessions in the Fuji Five Lake area. 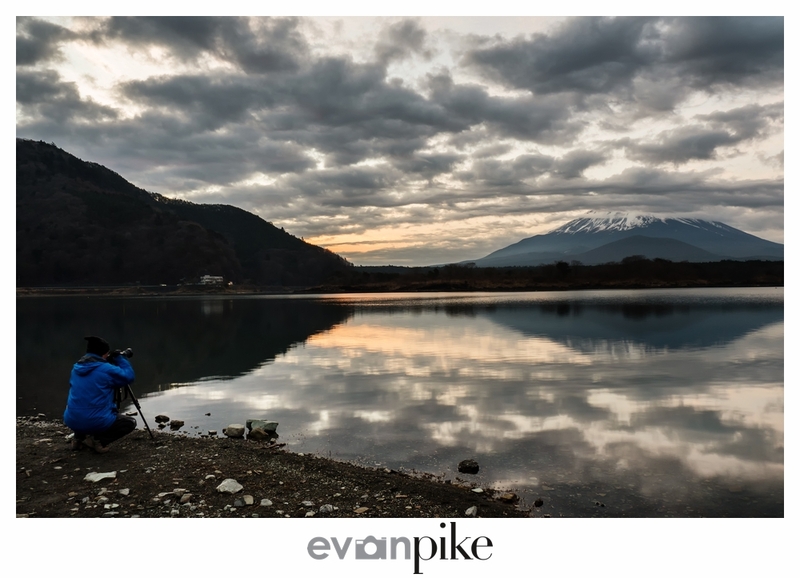 Our hotel was at Lake Kawaguchi (where the photo above was taken from) but we spent the first sunset by Lake Yamanaka. 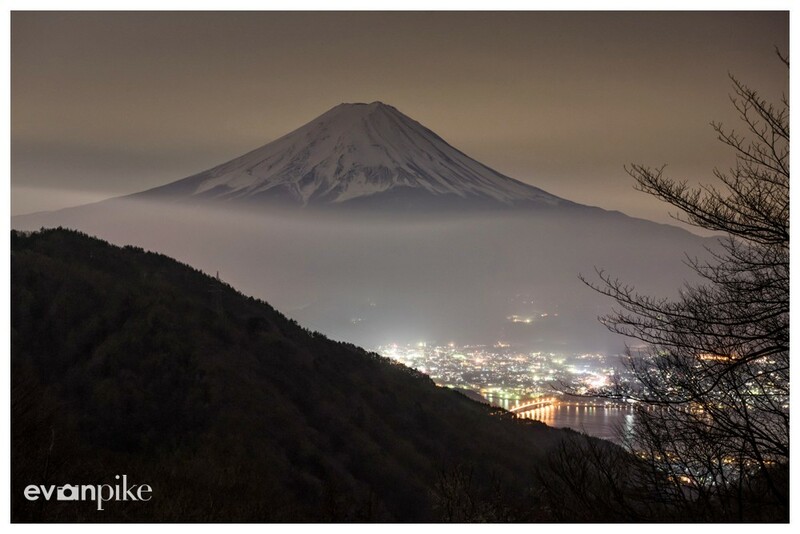 We got just a touch of color with a slightly hazy Mt. 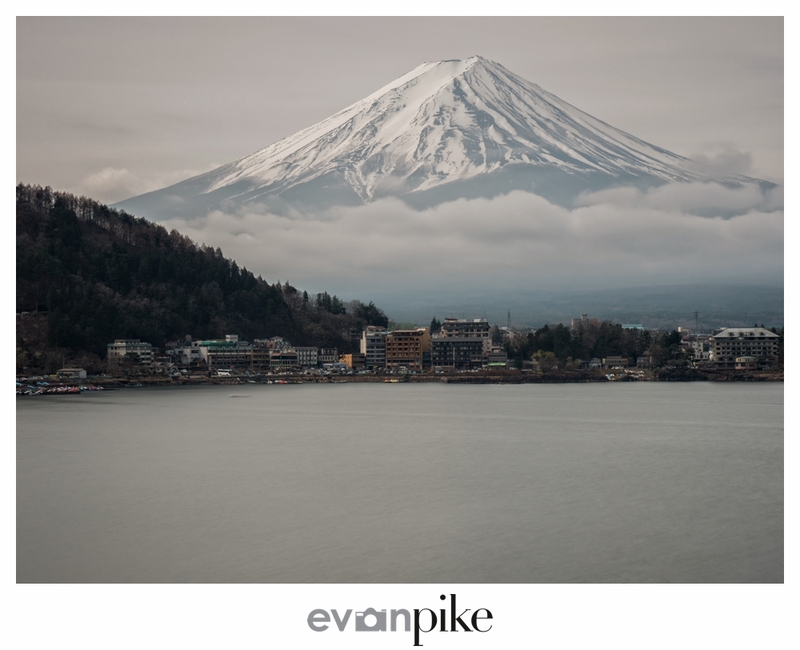 Fuji, but all things considered, our first photo session with the shy mountain didn’t go so bad! The next morning, after nothing much happening at Lake Tanuki (not one of the Fuji Five Lakes, but very nice place) we stopped by Shiraito Falls. 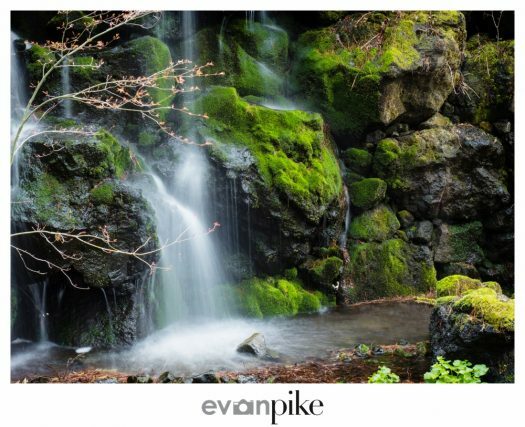 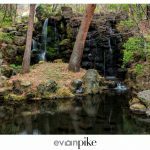 For whatever reason, Lake Shoji has always been good luck for me as you might recognize that the 2015 Cherry Blossom Photo Tour made some fantastic photos of Mt. 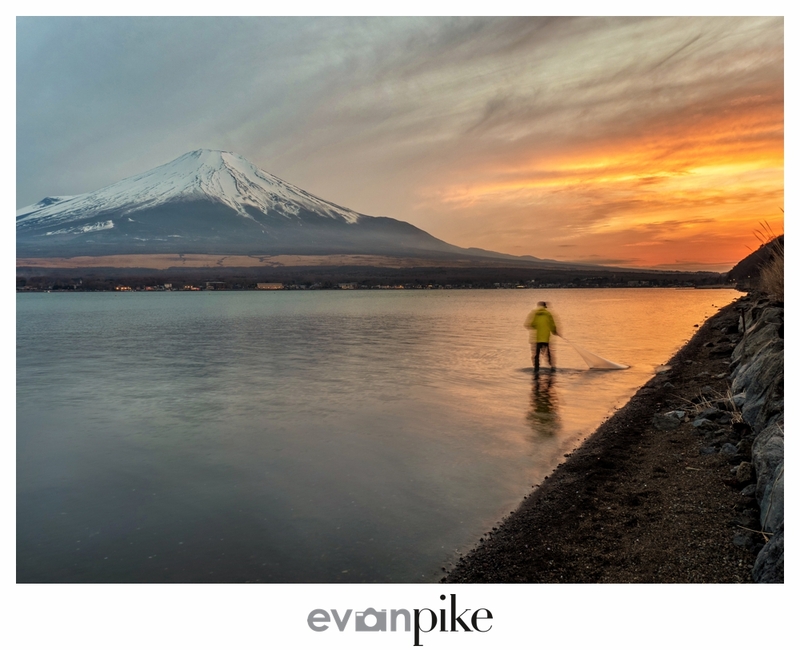 Fuji from the shores of Lake Shoji last year. 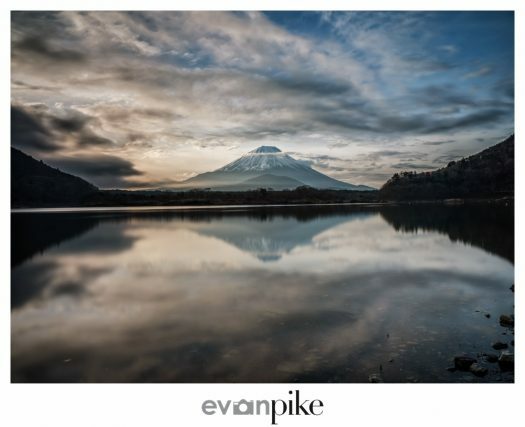 This year was similar as we had great a nice sunrise and mostly still water making for a great reflection of Mt. 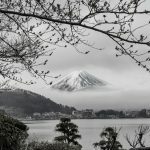 Fuji. 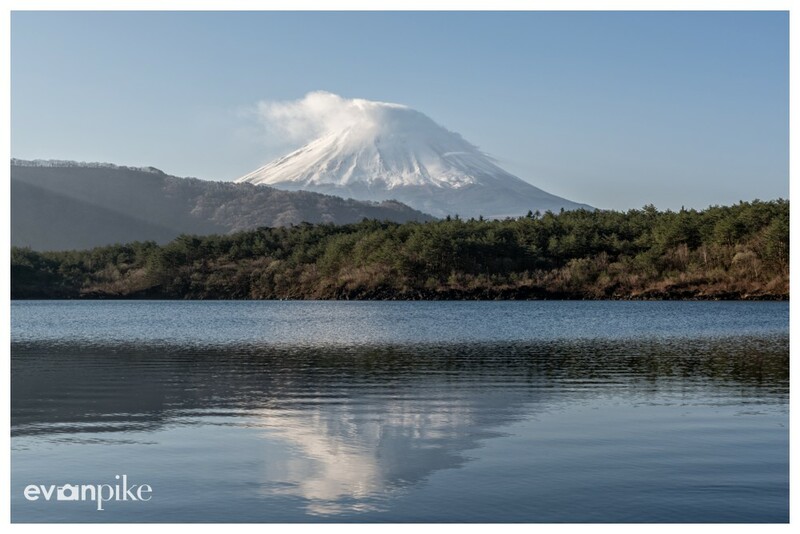 As you can see, we had quite a few nice photos from Lake Shoji! Our group of photographers stayed at Shojiko quite a while both making photographs and just enjoying the view. Too bad didn’t have weather like this for all the times our group went out to photograph Mt Fuji. 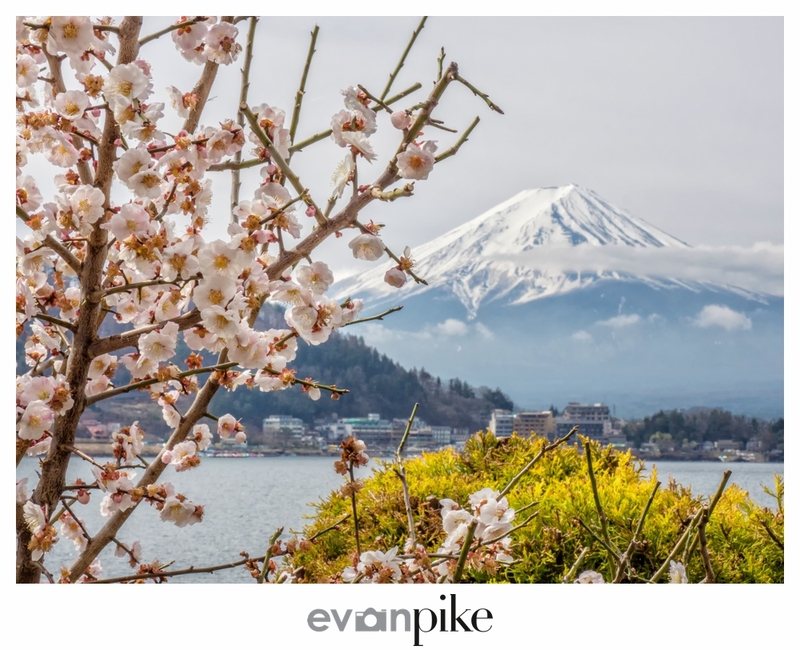 By the end of our staying the Fuji Five Lakes area, the cherry blossoms around Kawaguchiko were starting to approach full bloom. 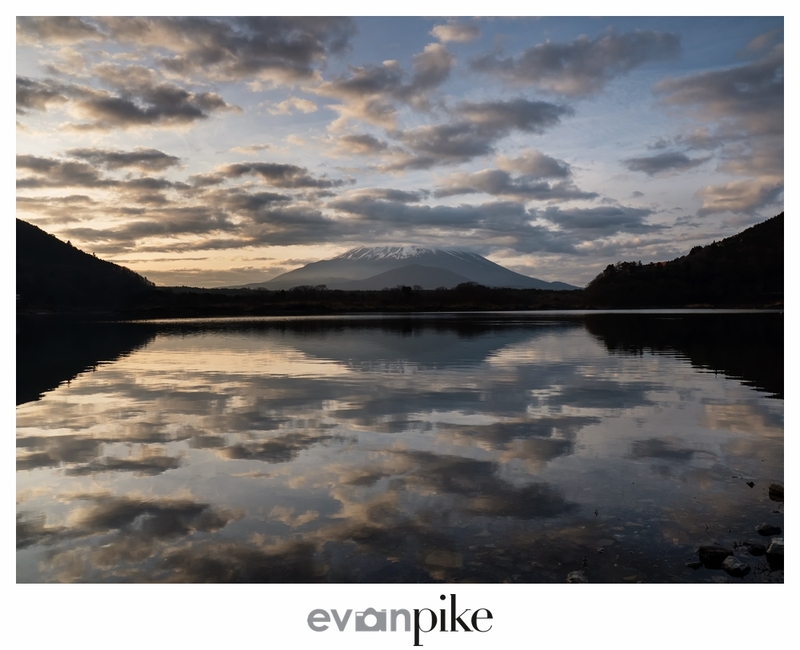 One day was a little gloomy and quite windy, the next morning, clear sky and light wind making for some great reflections! 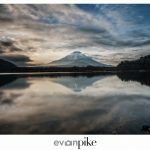 The photo at the top of this post is my current desktop on all my computers and a vertical crop of it on my iPhone. 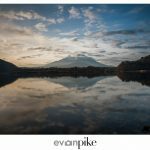 Our last morning of the 2016 Cherry Blossom Tour of Japan at the Fuji Five Lakes was mostly cloudy but we still went out anyway hoping for something, or rather anything! 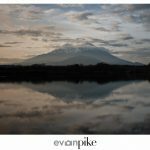 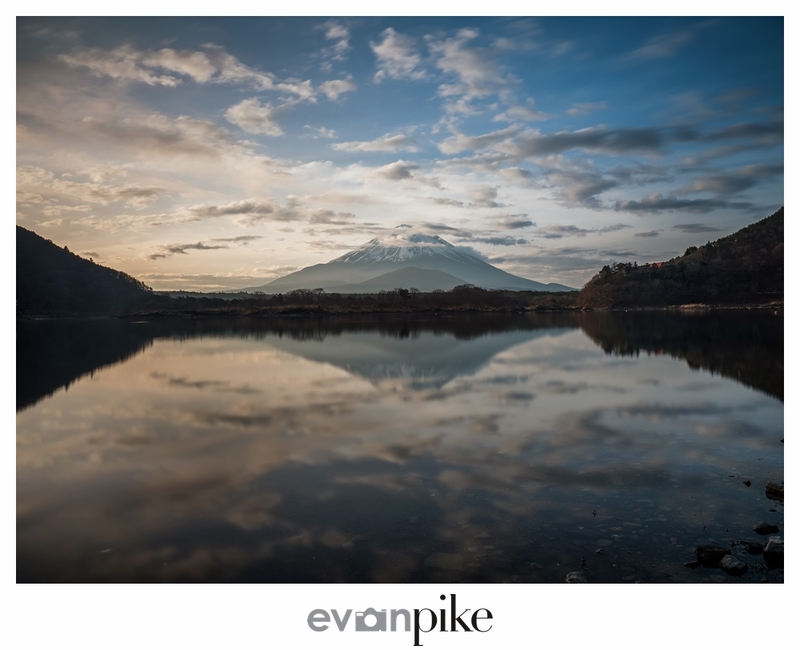 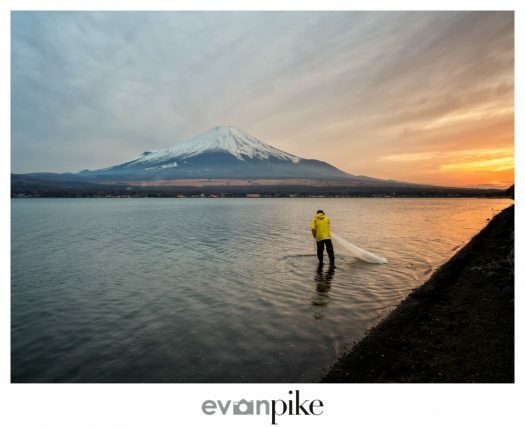 We went out to Lake Saiko in hopes of being able to see and photograph Mt. Fuji one more time. 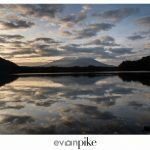 To our surprise, when arriving at Lake Saiko, we could see most of the Mt. 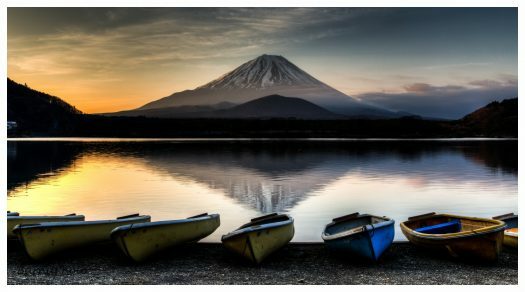 Fuji. 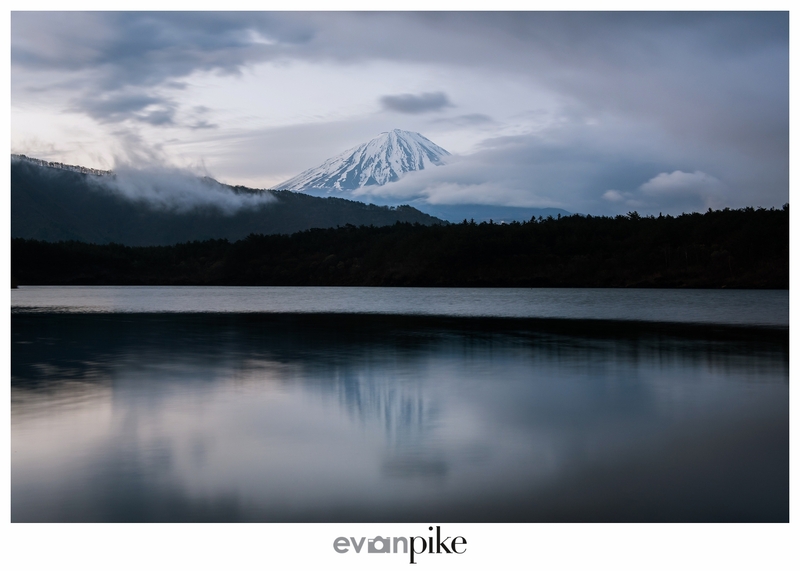 While the clouds cooperated for a while, they covered Mt. Fuji just as the sun was coming up and color was starting to enter the sky. 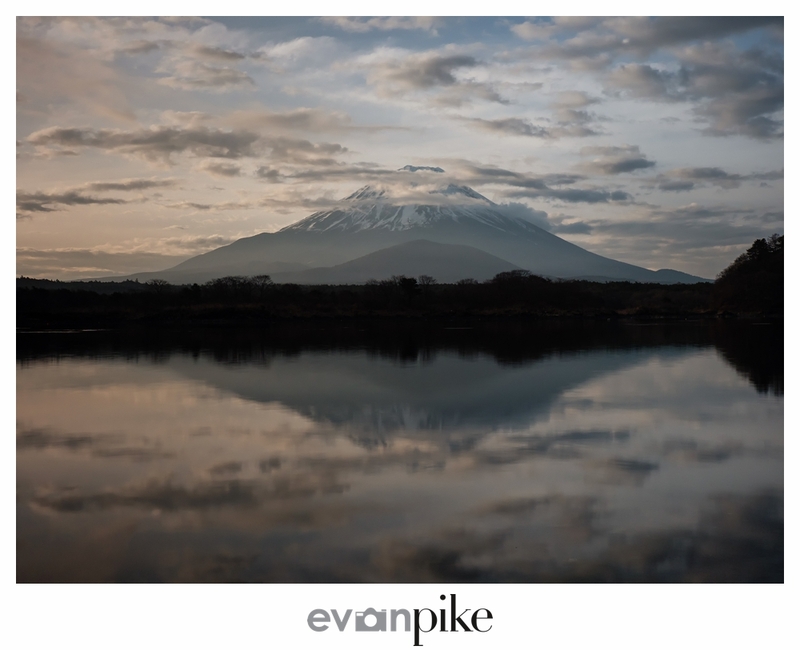 We were still able to make some interesting photos of Mt. 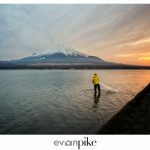 Fuji for our last photo day of the tour! 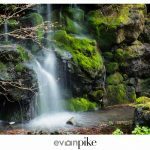 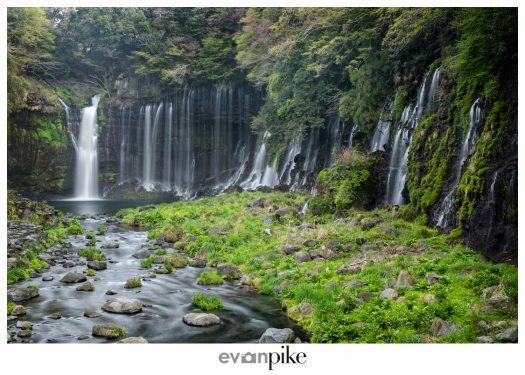 With Tokyo, Hiroshima, Miyajima and Himeji Castle and Kyoto already visited, next up for the 2016 cherry blossom tour was the Fuji Five Lakes to photography Mt. 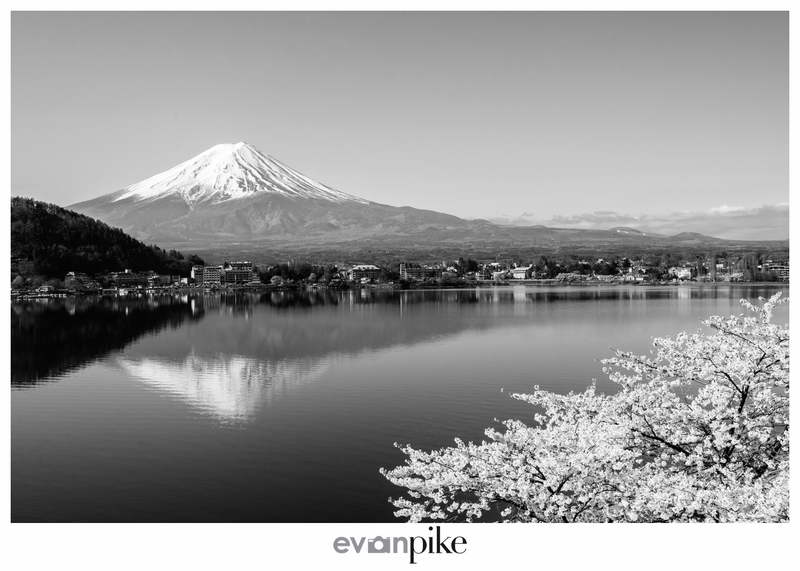 Fuji along with some cherry blossoms. 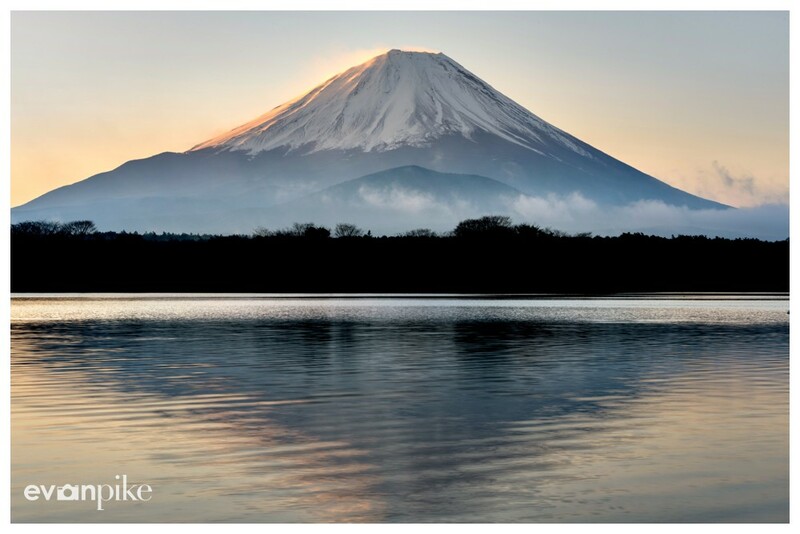 Our photo tour of Japan ended here but yours can start just around the corner! Interested in joining the 2017 cherry blossom tour? Please contact me today to start your trip to Japan during cherry blossom season or any other time you’d like! 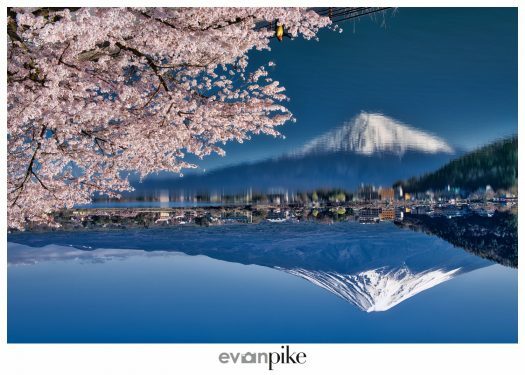 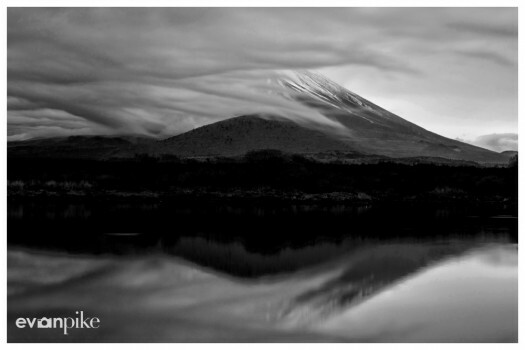 By the way, I quite like the first photo in this post of Kawguchiko and Mt Fuji when it’s flipped upside… maybe even more that the right way up? Cherry blossom season in Japan is a beautiful time of year if you are lucky enough for good timing! Besides the cherry blossoms blooming slight different times in different years, after the cherry blossoms bloom, one strong storm can wash off a lot of the cherry blossoms. 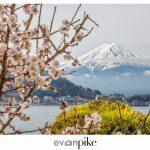 In 2015 the cherry blossom photo tour of Japan didn’t have the best luck with timing, but the 2016 cherry blossom photography tour of Japan, while going the almost exact same dates of the year, had just about perfect timing everywhere we went! 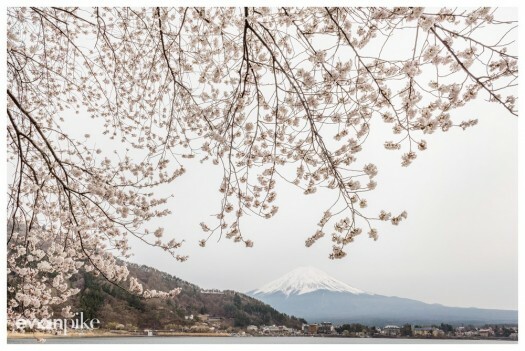 Not only did we have perfect timing with the cherry blossoms, we were lucky enough not to have any strong storms until probably day 7 or so, after we had traveled to Kyoto. 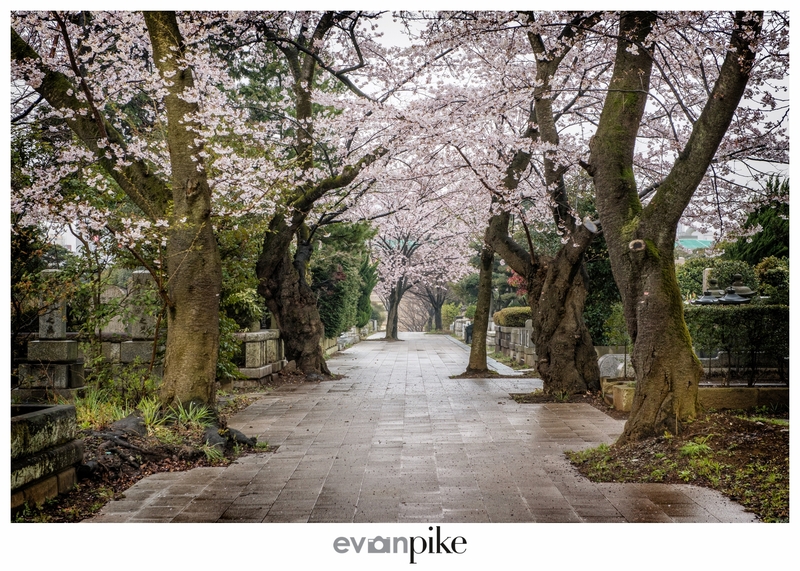 Our last morning in Tokyo, a few of us headed to Aoyama Cemetery for a few cherry blossoms photos before heading down to Hiroshima and Miyajima. 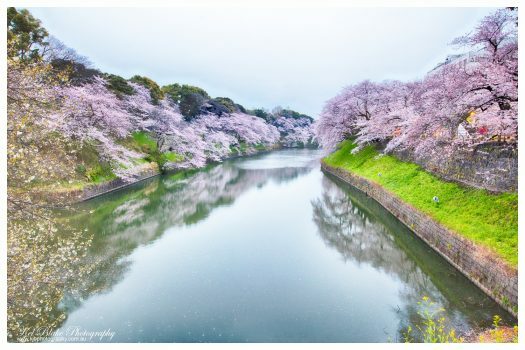 During cherry blossom season in Japan, early in the morning is really the only time you can expect to easily get photos without crowds of people. 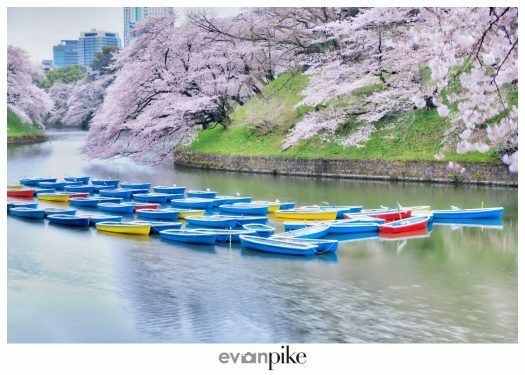 Next up for the 2016 cherry blossom tour was Hiroshima and Miyajima. 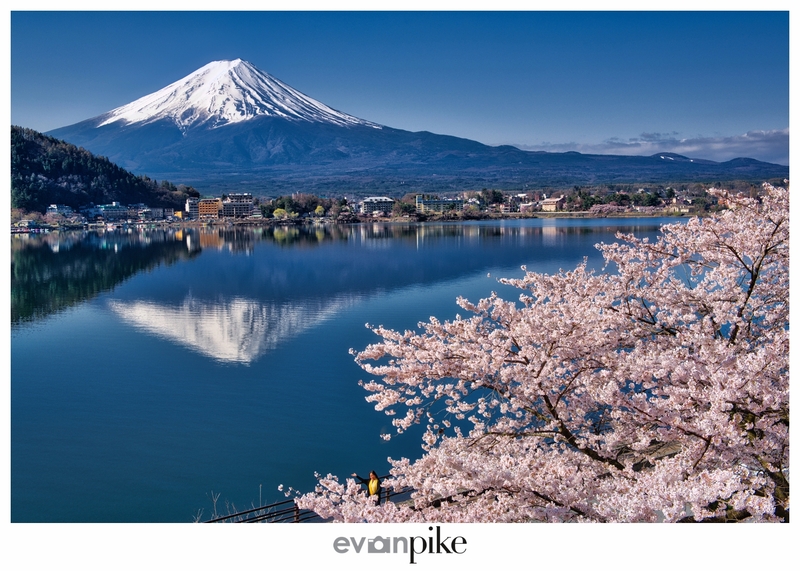 We would also travel to Himeji Castle, Kyoto and the Fuji Five Lakes to chase and photograph the cherry blossoms around Japan! 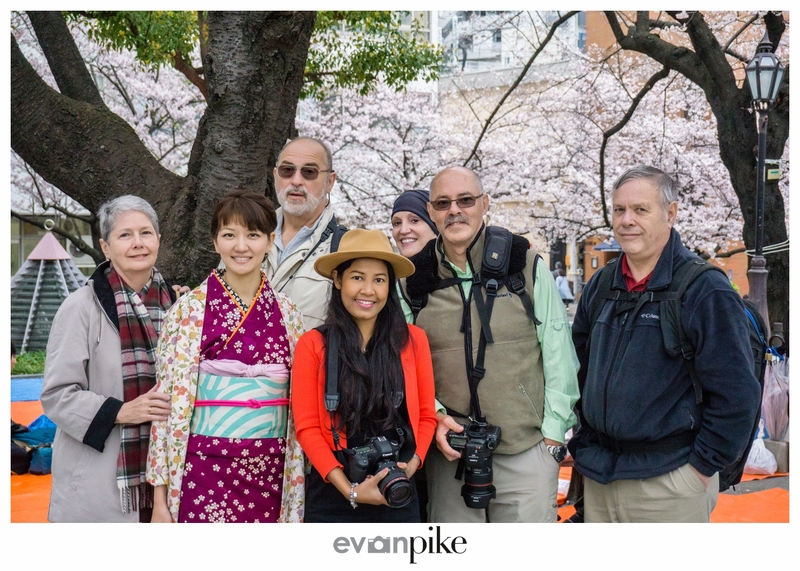 Interested in joining the 2017 cherry blossom tour? 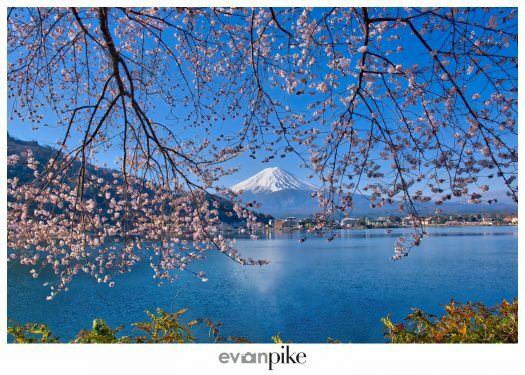 Please contact me today to start your trip to Japan during cherry blossom season or any other time you’d like! 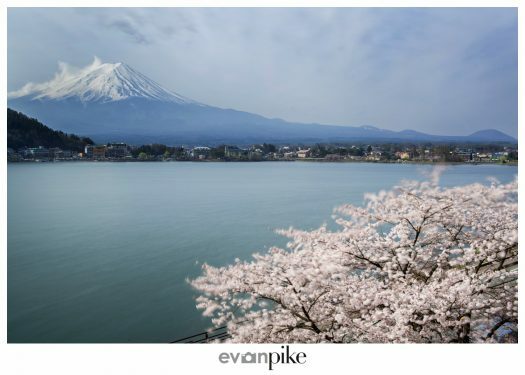 Before evening returning from the the 2015 Cherry Blossom Tour of Japan, I received a few inquiries about the 2016 Cherry Blossom Tour of Japan! 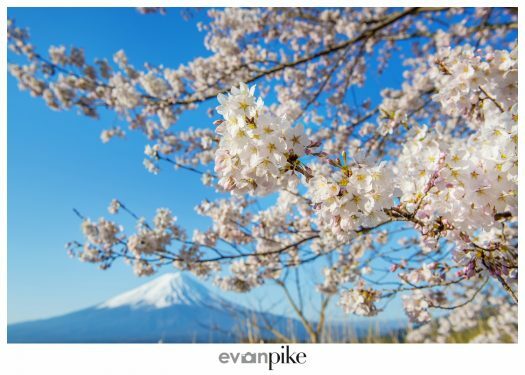 If you are looking for that information, the details of the 2016 Cherry Blossom Tour of Japan can be found here. After part of the group returned home after the main group tour, for the extension tour of 2015 cherry blossom tour of Japan, we headed to Yamanashi Prefecture to take photos of Mt. Fuji from the Fujigoko or Fuji Five Lakes. We stayed at Kawaguchiko, but also took photos of Mt. 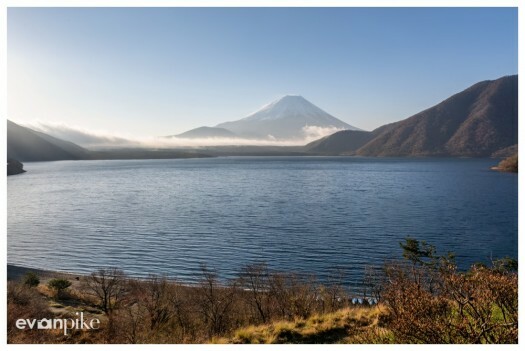 Fuji from all five of the lakes, including, Lake Motosu, Lake Shoji, Lake Saiko and Lake Yamanaka. 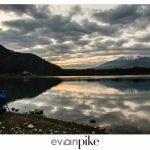 We spent 3 nights and 4 days in the Mt. 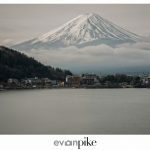 Fuji area but 2 of them we had rain and clouds all day and 2 we had views of Mt. 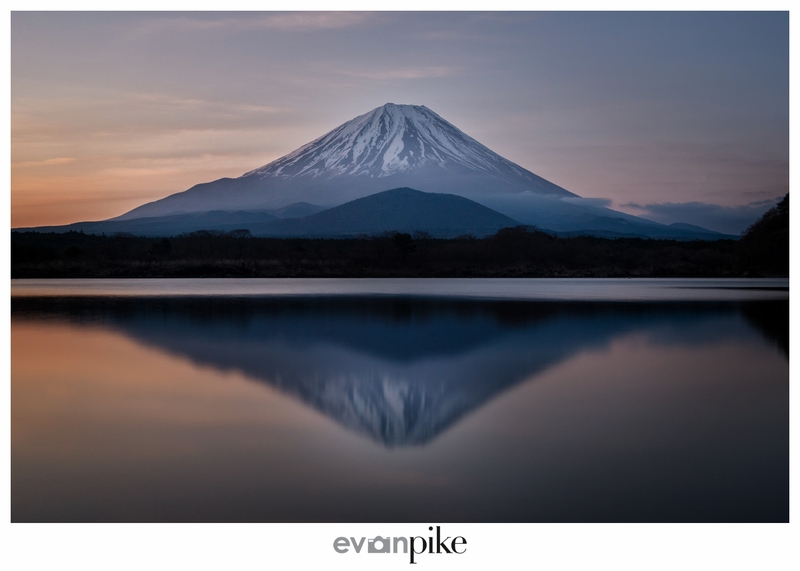 Fuji. 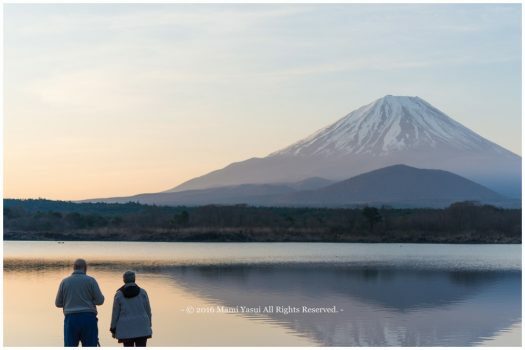 Believe it or not, seeing Mt. 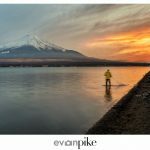 Fuji for 50% of the days is actually ahead of the average for this time of year! It’s well known in Japan that Mt. Fuji is “shy” and I’ve been told that during April, it’s estimated that you can see Mt. 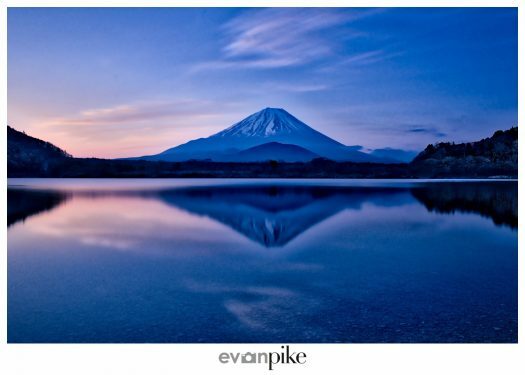 Fuji completely clear on only about 1/3 of the days. 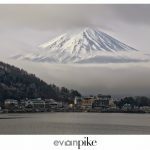 So even though 2 days gave us nothing, I think we were lucky to see Mt. 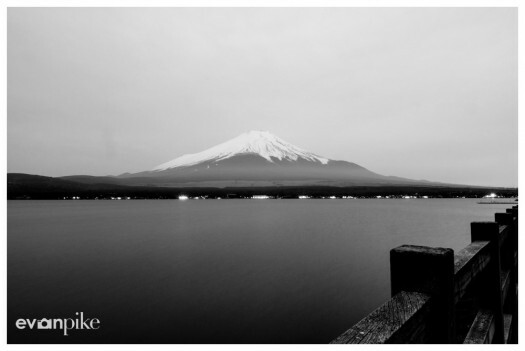 Fuji half the time we were there! 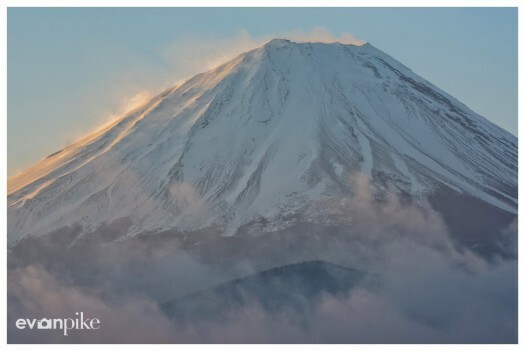 In general, you have a better chance of viewing Mt. 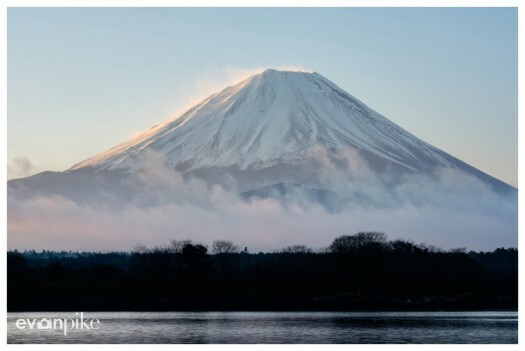 Fuji in the Winter months and also earlier in the morning, but of course, anything can happen! Want to see more photos from the 2015 Cherry Blossom Photography Tour of Japan? 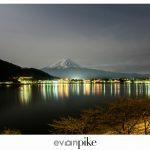 The group tour also went to Tokyo, Miyajima, Hiroshima, and Kyoto. 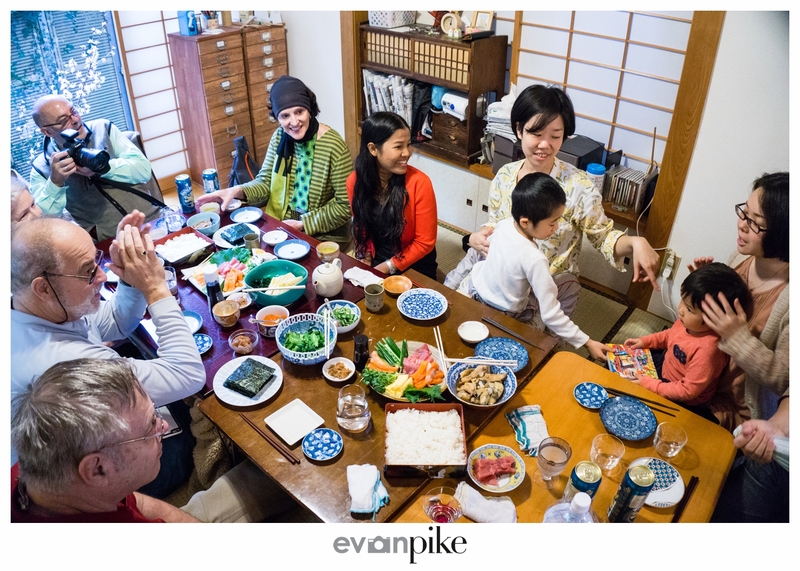 Stay tuned for more photos from the escorted tour of Japan!